Transform your TVs into your club’s top marketing and lead-generating assets. 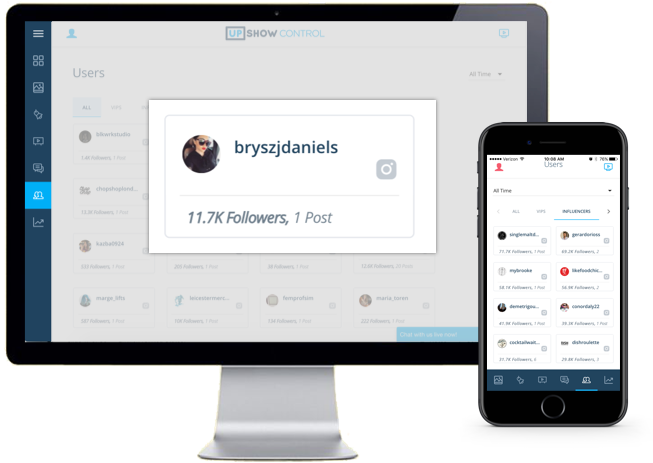 Fully customized and controlled by you, powered by social media. Social TV compels your members to share about your brand on social media every time they visit your studio. Everyone loves to be on TV! Entertain members with dynamic content on the teams and topics that matter to them - sports, news, pop culture and more! UPshow’s extensive library of Feeds allows you to curate custom programming unique to your studio. 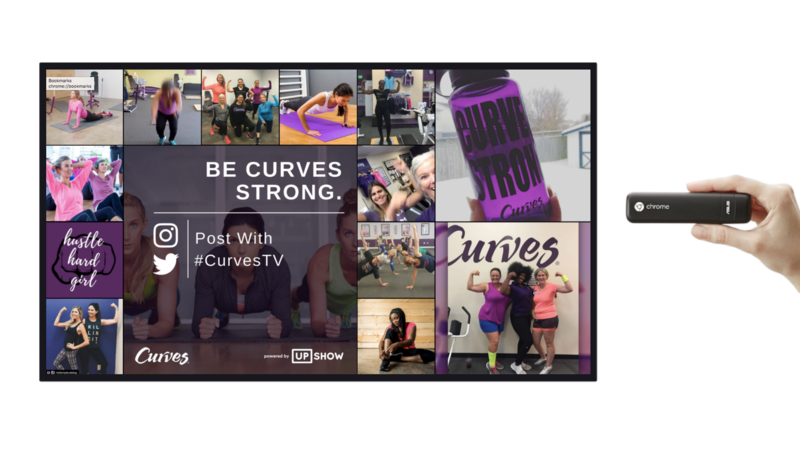 Showcase personal training, events, staff, apparel and more on your TVs to maximize awareness and sales. Identify and connect with your club’s social media influencers. Setup only takes a few minutes. Plug a Google Chromebit into any TV or AV system and you’re all set!